Electrolyte is a multi-award-winning piece of gig theatre that powerfully explores mental health for a contemporary audience. Written in spoken word poetry and underscored by original music ranging from “blasts of sound to lyrical sweetness”, this “unstoppable” production is performed by six multi-instrumentalists who seamlessly integrate live music with expert storytelling. 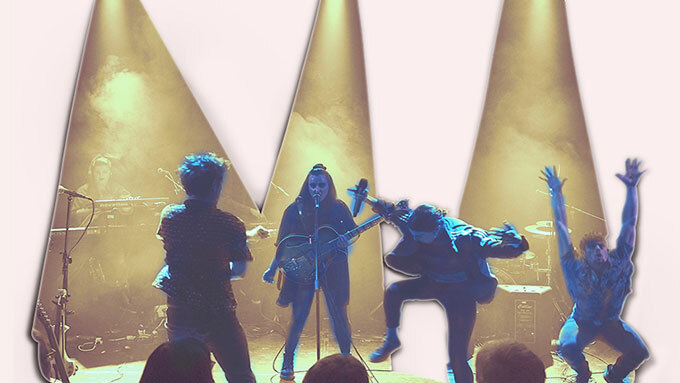 Wildcard is a multi-award-winning theatre company that was created with a dual purpose: to revitalise theatre and become a home for emerging artists. Wildcard is an associate company of The Watermill Theatre & The Pleasance and is supported by ETT's Forge Programme.